Steven Gullotta Industrial Though I don't quite understand why the name Pharyngeal was chosen for this project - although that part of the throat is important for vocalization - this doom/ambient/industrial Swedish solo artist has just released his self-titled debut EP. It is a five track EP that shows off the beginning stages of a producer who has much room to grow, but who also has a decent sound ringing from the start thus far. 'Victim' is the fairly cinematic opening track to the album using organ like sounds and kick drums to get the mood in check. Goblin-esque vocals whisper in the background as the song goes on, and soon enough the sludgy guitars work their way in. 'Crimson Delight' kicks in next, somewhat using the same structure as the first song. However, this track moves in a faster manner and has more technical elements to it; more guitar notes, more drumwork, and a bit of an underlying rhythm forms. The guitar work and drums move in an equally rapid fashion in 'Be My Queen', while 'All Is Lost' really homes in on a slow moving track. At times, it does have a bit of a lounge feel to it with the piano work involved but that mood is well done. Lastly, 'Through Ruins' continues at a slower pace, but it is heavy as can be. There is even a little acoustic section at the end of the track that was pretty well done. Now, from a musical standpoint, what Pharyngeal has achieved isn't all that bad. It isn't exactly the most unique piece of music I've ever heard, but that doesn't make it special in one way or the other. However, I do think that the quality of sound on this EP could have been better. I wouldn't exactly say that this is demo quality, but it is a few steps above that. It still doesn't sound terrible, I'm just saying with the right mastering it could have sounded better. Nonetheless, for a project that just started up, Pharyngeal is doing very well for himself. He's got a good style going on and his screams are vicious. With more work, time, and experience, I'm sure this Swedish producer will come out with something even better than he already has. Pharyngeal just got physical copies of this EP and if you would like, you can order them by directly e-mailing the artist at: pharyngealofficial@gmail.com. 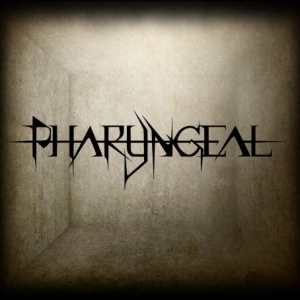 Though I don't quite understand why the name Pharyngeal was chosen for this project - although that part of the throat is important for vocalization - this doom/ambient/industrial Swedish solo artist has just released his self-titled debut EP. It is a five track EP that shows off the beginning stages of a producer who has much room to grow, but who also has a decent sound ringing from the start thus far.